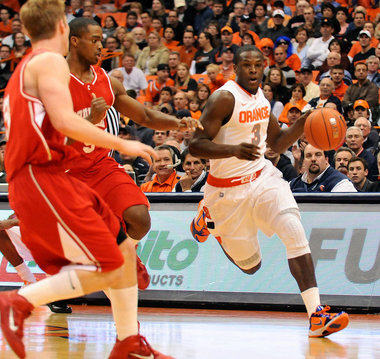 The Orange look good to start off the year with a NIT Season Tip-Off Championship and solid wins over Virginia Tech and Stanford, but the real test comes Friday, Dec. 2 vs. Florida. 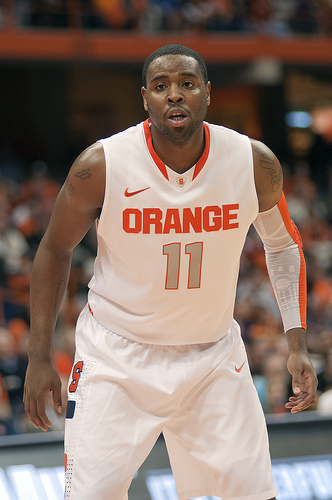 Syracuse has the deepest team I’ve seen in a while with 10 guys that can contribute. I like the slimmer versions of Dion Waiters and Fab Melo to go along with a great core that includes Kris Joseph, Scoop Jardine, and Brandon Triche. 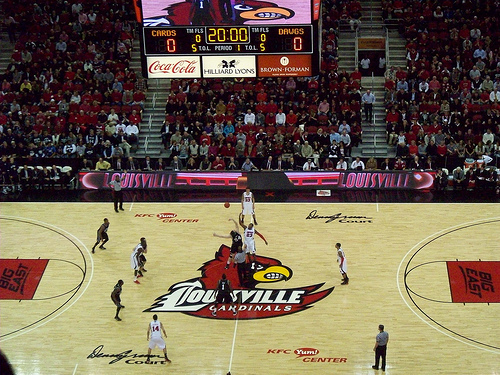 Louisville remains unbeaten and got a nice victory over Butler without starting point guard Peyton Siva. With Siva running the show I think the Cardinals could be an explosive team. For that to be true Louisville also needs to stay healthy, especially the strong backcourt of Siva, Chris Smith and Kyle Kuric. Blowing a 17-point lead and losing to Central Florida was a wakeup call to the defending National Champions. It was the first tournament loss in a long time, but showed the gaps they need to fill without Kemba Walker. The next day in an overtime win over No. 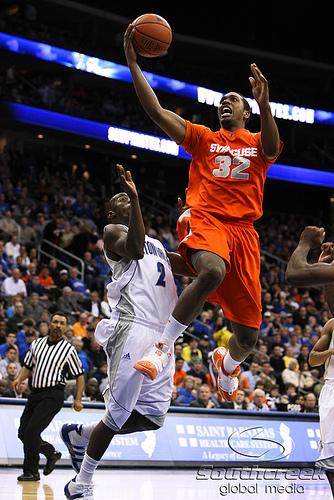 20 Florida State, the Huskies may have found it in Ryan Boatright. The freshman guard is another playmaker and can help running the team with Shabazz Napier being an improved scorer this season. I’ve been saying this all offseason, that Darius Johnson-Odom and Jae Crowder will be the one-two punch that carries the Golden Eagles. They are undefeated, but still they haven’t played anyone. 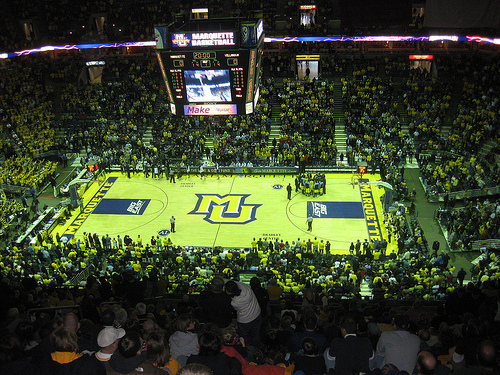 Besides the two-point nail biter against Norfolk State, Marquette hasn’t been challenged. They will this Saturday though, when they take on the No. 7 Wisconsin Badgers on the road at the tough-to-win-at Kohl Center. If they win, a slide up in the rankings is likely. The Panthers took a rough 86-76 home loss to Long Beach State early in the season, but have recovered with three straight. I still like this team. Ashton Gibbs is a great player to have at the center of your team and if Khem Birch can do what he’s done in his first two starts (10 rebounds vs. Penn; 11 vs. Robert Morris –both wins), Pitt might have a shot this year. The matchup between the projected two top teams in the Big East this season. This could be the last Big East game between the two teams. 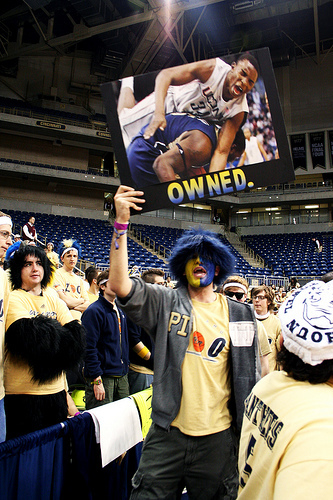 UConn and Pitt have had memorable games in the past and this game should live up to the billing. It will be the last regular game of the season and both teams should be at the top of the Big East stadings. These two teams played a pair of great games, including an awesome third-round game in the NCAA Tournament. With big late-game shooters, Marquette’s Darius Johnson-Odom and Syracuse’s Scoot Jardine, it would be pure gold if this game is tight in the last few minutes. This road game for the Bearcats is in between a rough three-game stretch, which begins with a road game at UConn and ends with a home game against Syracuse. If Cincy wants to be considered a top Big East team this season a win at Morgantown could be a big boost. The Cardinals and Golden Eagles are in the next tier of Big East teams after UConn, Syracuse, and Pitt. This Big East conference game could place one of those teams into the top tier. *Did not include Madison Square Garden because it is not St. John’s official home and every team plays there each year. Awesome new building that opened last year for Louisville. Of course nothing could fully replace Freedom Hall, but this is a nice substitute. Been a great home for the Golden Eagles. Fans are more excited there than the Bucks fans are. Not a bad seat in the house. 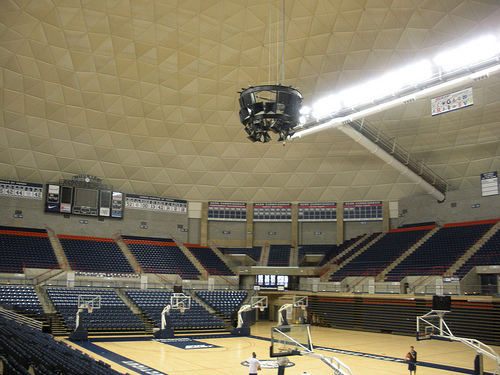 Also never a bad game either, both UConn men and women play there. 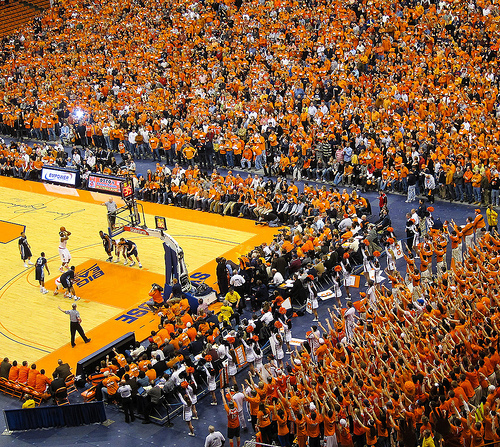 The Zoo makes this arena, one of the most underrated fans sections in college sports. I love watching games when Pitt plays at home. Playing in front of a maximum crowd of 34,616 people is enough for anyone to want to play there.